The aquarium trade relies on polyethylene plastic bags that may leach toxins that can kill or impair livestock. Fish bagged for sale in the Mong Kok Market, Hong Kong. Image: R. Nagy/Shutterstock. Interviews with Researchers Craig A. Downs, Ph.D. and Heather Hamlin, Ph.D.
Last week we shared a press release (Chemical in Plastic Bags Lethal to Aquarium Fish) from the Haereticus Environmental Laboratory (HEL) which revealed potentially lethal problems with some brands of plastic bags used in transporting and shipping aquarium fish. When Orchid Dottybacks were kept for varying periods of time in FDA food-grade polyethelene bags in seawater, the fish accumulated potentially fatal concentrations of Nonylphenol (NP), an endocrine disrupter. 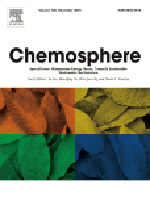 Elsevier Ltd. journal Chemosphere in which the plastic bag study appears. The study’s results, published in the article Migration of nonylphenol from food-grade plastic to the coral reef fish Pseudochromis fridmani, raised concerns about possible issues in the aquarium trade, but also had some aquarists raising questions about the study itself. Over the course of a number of email exchanges between CORAL Magazine and one of the study’s co-authors, Craig A. Downs, Ph.D. (of HEL), many of these concerns were addressed and other related issues raised (for example, potential problems with plastics in the aquarium use beyond just shipping bags). An additional conversation between CORAL reader Joshua Wiegert of Batfish Aquatics, and study co-author Heather Hamlin, Ph.D, reproductive endocrinologist at the University of Maine’s School of Marine Sciences, focused on some of the questions that the public was pondering. What follows are some excerpts from these conversations, woven together in the form of a digital roundtable discussion. Matt: Can you give me some background on the Haereticus Environmental Laboratory, based in Clifford, Virginia, and the work you do there? Craig: We are one of the world’s best ecotox organizations. 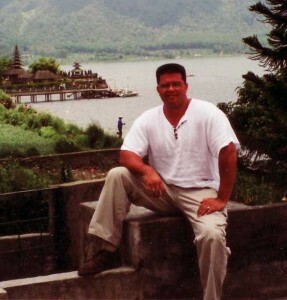 Dr. Craig A. Downs, a few years back when working for NOAA. Matt: I’m going to jump right in with the question everyone is going to ask: whose bags were the problem? I did not see the name/manufacturer of the “problem bags” disclosed…is there anything that might tip off the end user with regards to “problem bags” vs. “safer alternatives”? Craig: We didn’t mention the manufacturers because the University of Maine is wanting to be cautious from a legal perspective. The news we wanted to get out there is that not all bags are the same. The onus is on the major distributor or pet store to require that the manufacturer do a test to ensure the quality of the bags. They can do a simple test like what we did in the paper. A company or distributor can run distilled water though an activated carbon filter (e.g., Brita). Put 300 mL of the water into a bag, wrap it, and let it set for 48 hours. Then put the other half of the 300 mL into a glass jar for two days (make sure the lid is glass; a German company makes them and they sell it at Whole Foods). Freeze the water in both containers, then send it frozen to a commercial lab. Have them quantitatively measure all the alkylphenols, but especially the nonylphenols (NP) – get your money’s worth. We would also suggest that distributors have some conversations with the manufacturer about the composition and amount of slip agent used for the plastic bags. Hopefully, distributors and pet stores can find plastic bag sources that are made well and don’t leach as much NP. Matt: Some people reading the press release seemed to think that the bags you tested were not bags that are used in the aquarium industry. What’s your response? Craig: [Such an assertion] is, in my opinion, just a ridiculous statement. Think about it. Why would I waste about $30k of my resources on doing something if it wasn’t a real problem? The [problem that spurred this research] was brought to our attention by someone in the industry who suspected that this one manufacturer’s product was causing severe and extensive PTSD in their imports/distribution, and that this manufacturer was used by at least four other companies in the aquarium industry. Both manufacturing bags [we tested] were used by the industry at that time. Matt: There was a lot of commentary online, and it’s my understanding that one of our readers, Joshua Wiegert of Batfish Aquatics, emailed you and raised several questions. Heather: To give you some background, someone from the aquarium industry approached Craig Downs (co-author) for assistance in understanding why they were experiencing significant mortality in the shipment of marine ornamentals. Craig suspected it could be something in the plastic bags, which is how this research began. Because low density polyethylene (PE) bags are very common in the aquarium industry, he suspected there was likely something unique about the bags from a single manufacturer, therefore he chose another manufacturer of the same type of plastic (i.e. FDA food grade polyethylene) to compare it to. This is why only two manufacturers of PE bags are analyzed. Heather: A sample of around 10 for contaminant testing is quite common (I’ve actually seen half that published), but the number needed really depends on how much the samples vary. If they vary a lot, more samples are needed; if there’s less variance, less samples are needed. Contaminant testing is very expensive (usually tens of thousands of dollars) so researchers tend to use the fewest samples that are needed, based on the variance. For the LC50 studies (mortality/toxicity), we followed the US EPA protocol (including numbers required) for this kind of test. I’m not sure why Craig used 9 versus 10, but presumably it had to do with cost, and lower sample variance (since these bags leached less NP). Craig: Joshua was excellent in his inquiry; a good question on the 9 vs 10. [In this case, the reason for 9 vs. 10 had nothing to do with cost as Heather speculated, but something far more humorous and yet all too familiar to aquarists who pack and ship fish – Matt.] N=9 for PE bags because 3 hours into the experiment, I noticed that one of the 10 bags of PE1 was having a small leak at the bottom corner of the bag. Since you can’t just throw another fish in a bag and introduce it into the middle of the experiment, we were stuck with n=9. It was overkill anyway, since power analysis said minimum based on variance would be N=5. 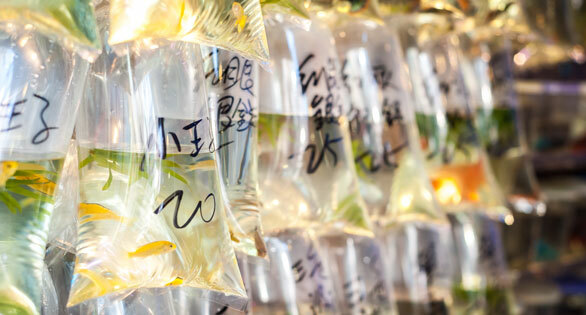 Matt: This may seem trivial, but many aquarists asked questions or made suggestions based around the notion that this is strictly a problem with plastics and saltwater. Can you clear up, once and for all, whether this is only a problem for marine aquarists, or should all aquarists be concerned? Craig: It’s potentially an equal threat in freshwater and saltwater. Matt: Were there any questions that didn’t come up in public commentary or private questions from our readers? Craig: Continuing with [this hypothetical] cross-examination: “How could this be, since you used Teflon bags to ship the fish from Soren’s place in Maine to your lab? You detected NP in the seawater incubated in Teflon bags, correct?” During the discovery phase, I was personally outraged that the Teflon bags contained NP. Scientists all over the world use Teflon for the reason that it should be chemically inert and not leach anything into the gaseous or liquid medium. We discovered that the slip agent used in the manufacturing of Teflon film contains NP, and that once you wash the bag according to EPA Methodology for environmental contaminant analysis, the Teflon bag does not leach detectable levels of NP into [artificial saltwater] after 15 days sitting at either 25C or 35C. The bags we sent to Soren were cleaned according to EPA methodology to remove all traces of slip agent. To add one more question to the cross-examination: “But then why didn’t you wash the Teflon bag used in the incubation experiment?” Because we wanted to be consistent in our procedure. That means we would need to have washed the PE1 and PE2 bags. My understanding is the aquarium industry users don’t pre-wash bags before using them. Matt: I feel that deals pretty well with some of the questions about the study’s methodologies I saw raised. Several people honed in on the results of this study and came away with the conclusion that there is simply one manufacturer to be avoided, or even that perhaps you just tested a “bad batch” of bags. Some public commentary shrugged off the results of this study as not really being of any concern as folks had never personally had an issue—perhaps even suggesting sensationalism or fear mongering. What’s your response to that? Craig: If you look at the other manufacturing bag [we tested], it also leached NP into the seawater. Sure, it wasn’t lethal enough to cause acute toxicity, but it was really close to the EPA action level. What are the consequences of being exposed to NP at levels 35x lower than the LC50 (which really isn’t much, especially since NP has the weirdest death curve I’ve seen since TBT [tributyltin])? If you read the literature regarding NP, [exposure to NP at close to EPA action levels] means the possibility of reduced immune-competence (increased susceptibility to infectious diseases), neurological disorders (increased aggressiveness in fish, or the opposite? ), increased susceptibility to water quality parameters (increased sensitivity to ammonia levels, or even nitrate levels), etc. And at even lower concentrations, [NP causes an] endocrine disruption at multiple levels. In the end, [the fish exposed to NP during shipping] may be a shorter-lived product. As a consumer, I would think you would not want that. Matt: Would the use of activated carbons, or other chemical filtration types, be sufficient to remove these problematic chemicals from closed systems (or in the case of fish shipping, in the bag)? For example, I’m aware of shippers using small pieces of Poly-Filter® in bags to handle toxins released by certain species of fish. Craig: I’ve seen a lot of conscientious shippers add about 1-2 grams of activated carbon pellets to a bag. Very smart, because it’s fairly effective. The problem is that the unprimed activated carbon will scavenge a fair bit of oxygen out of the water/headspace. So you should prime it in the cleanest water you can for about an hour or two, and then use it. Prime it in a Mason jar. That is what we would do. Closed-Circuit (CC) tank at HEL, here showing Porites sp. 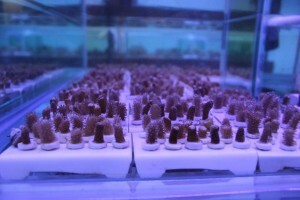 coral being cultured on Teflon. We do an activated carbon filtration on a specific schedule, depending on the species. We learned early on for our purposes, we never mix species [of corals] in the same tank. We found that different species of coral in a closed-circuit (CC) tank will eventually recognize each other, and start dumping exotoxins. For our purposes, we now ship our live animals in Teflon bags, specially made to our specs. Survival went way up when we switched. This may not be a financially viable option for most distributors. We do it because we use our specimens for toxicity tests (e.g., sea urchin embryo toxicity assay), and need specimens as clean as can be. Matt: In relation to the issues of toxicity from plastics, another issue you mentioned is that of PVC. Craig: The next manuscript focusing on aquarium issues is on PVC as being a toxic source to cultured animals, especially to invertebrates. When we got rid of PVC plumbing (and other plastics), this caused a new problem, which was the increased frequency of spawning events in the tank, or planula recruits all over the place. We have closed-circuit tanks (in the foothills of Virginia). Spawning is a horrid mess in a 150-gallon tank, and one you can’t ignore because the tank goes anoxic from the ensuing bacterial bloom. Most aquarists won’t care what their plumbing is made out of, but folks that are fragging or reproducing will notice a big, big difference. We have the same issue with sea urchin spawns. Matt: Aquarists are going to want to know which types are safer. For example, we ran a story about flexible PVCs a while back being a source for chemical problems…but it sounds like you’re also pointing to rigid PVC. Is Schedule 80 any safer than Schedule 40? I recall the stories that LDPE containers were implicated in coral planula mortality, and as a result I’ve consistently looked for and used HDPE (recycle #2 vs. LDPE, which is #4) for use as larval rearing containers (e.g. black round tubs). Craig: Ahh!! Yes, flexible PVC is very nasty. Turns males into females. Rigid CPVC. Schedule 40 vs. 80 – big difference is thickness and really is a function of pressure tolerances. There are some minor differences in formulation but not by much…Our laboratory, as well as other published studies, have found both monobutyltin and dibutyltin in the leachate of PVC. It is believed that this additive helps preserve the surface of the PVC against biological fouling, as it does for boat anti-foulant paint. There is no “official” carcinogenicity data on dibutyltin (DBT), but there is an awful lot on tributyltin (TBT). Dibutyltin is a common breakdown product of TBT. We find HUGE amounts of DBT. We have spoken to commercial aquaculture companies and research centers (like Heather’s) and they “see” the reduced yields associated with PVC, but no one is talking about it. Recycled plastic. That is a long, complicated story to tell, but recycled plastics may not be the best thing for your aquaria. We haven’t done a comprehensive survey, but from our experience, the first six recycled materials we tested (LDPE and HDPE) were much more toxic than the non-recycled. Also, silicone. Not all silicones are the same. Many compositions will also leach phthalates, bisphenols, benzophenones, and alkyl phenols. The best thing – for the money – is to use virgin polypropylene (PP) that was manufactured in the U.S. and has no benzophenones, bisphenols, etc. We do not recommend purchasing materials made in China. There are several manufacturers, and we tested them, and we found that these are a lot better than PVC, but if you are using lights that emit UV (any of the fluorescent bulbs after 4 months), you will get accelerated decay. We bought a threader (you can buy a cheap one from Amazon or Grainger, because PP is way softer than copper), and tens of meters of PP pipe, and we cut to length, thread, and theoretically you change it out every 3-4 years. For our work in coral nurseries that have to do aquaculture before restoration transplants (because coastal [water quality] is bad), we incorporate this. For all our ecotox work, we use Teflon pipes/joints and even the Teflon heads for the pumps. Yeah, it costs about $3000 per tank, but then we don’t have problems with UV decay, and its kind of easier to clean (algae and coral settlement wipe right off). But as I said before, doing the changeover causes other issues. I am so tired of spawning. One of our Tripneustes gratilla tanks just had a party last night, and it costs us about $30 in filters to get rid of their mess. First 2-3 times it can be exciting, then quaint, then you will want to go back to PVC because you are tired of cleaning up messes. Joshua: The study raises a number of concerns among aquarists, such as myself. As you reference in the article, aquarists have used plastic fish bags since the 1950s, when waxed paper boxes went out of fashion. The actual plastic bag has changed very little since. To find a study potentially implicating something like this as a source of mortality is obviously quite alarming. Matt: Craig, any last thoughts? Craig: Again, if your industry association came together, they could discuss the topic of requiring certain verifiable specifications for their bags. It was in the industry’s best interest for most folks to request bags made to FDA food-grade specifications. But if you ever had experience with the industries the FDA or EPA regulate, it isn’t always what you expect or hope. That is why ISO and other certification scheme became manifest, because the industry discovered it really was in their best interest to ensure production quality. This study is referenced as: Hamlin HJ, Marciano K, Downs CA (2015). Migration of nonylphenol from food-grade plastic to the coral reef fish Pseudochromis fridmani. • Nonylphenol (NP) migrates from FDA food-grade polyethylene bags to contained seawater. • Seawater levels of NP from the bags in one treatment were similar to 96 h LC50 values for P. fridmani. • Dottybacks held in these bags accumulated high body concentrations of NP. • Although labeled as food-grade polyethylene, the PE2 bags leached highly toxic levels of NP. • NP could pose a greater risk than might be estimated from testing plastic from a single manufacturer. Nonylphenol (NP) is a non-ionic surfactant used extensively in industrial applications, personal care products, and many plastics. 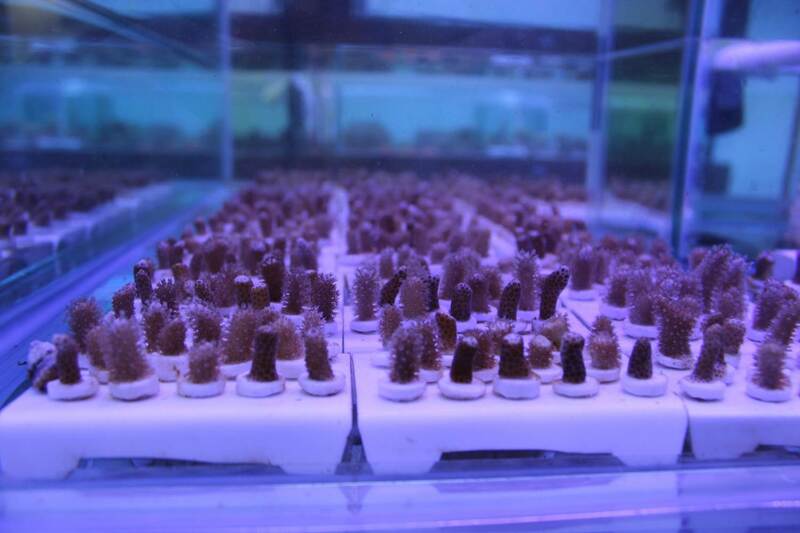 We exposed marine orchid dottybacks (Pseudochromis fridmani) for 48 h to either glass, Teflon, or two bags labeled as FDA food-grade polyethylene (PE1 and PE2) from different manufacturers. The PE2 bags leached high levels of NP into the contact water, which were taken up by the fish, and decreased short and long-term survival. Concentrations of NP that leached from the bags were consistent with 96 h LC50 values determined in this study, indicating NP is the likely toxic agent. Despite being similarly labeled, the NP concentrations that leached from the bags and the resultant toxicity to the fish varied dramatically between manufacturers. This study highlights that some plastics, labeled as food-safe, can be highly toxic to aquatic animals, and could pose a greater threat to humans than previously realized. This study also highlights risks for aquatic animals exposed to increasing quantities of plastic waste. Very interesting read on a topic I can’t say I thought much about, until today! Very well done Matt! 10 samples, that’s good science ! 10 ! Awesome. Study paid by Seachem. I smell money. It is worth noting that in Europe, due to environmental concerns, they also have been replaced by more expensive alcohol ethoxylates, which are less problematic for the environment due to their ability to degrade more quickly than nonylphenols. The European Union has also included NP on the list of priority hazardous substances for surface water in the Water Framework Directive. They are now implementing a drastic reduction policy of NP’s in surface waterways. The Environmental quality standard for NP was proposed to be 0.3 ug/l. It is worth noting that in Europe, due to environmental concerns, they also have been replaced by more expensive alcohol ethoxylates, which are less problematic for the environment due to their ability to degrade more quickly than nonylphenols. The European Union has also included NP on the list of priority hazardous substances for surface water in the Water Framework Directive. They are now implementing a drastic reduction policy of NP's in surface waterways. The Environmental quality standard for NP was proposed to be 0.3 ug/l. 10 samples, that's good science ! 10 ! Awesome. Study paid by Seachem. I smell money. Very interesting read on a topic I can't say I thought much about, until today! Very well done Matt!